This is a department which, whilst it does not have a specific archaeology department has a wide-ranging Classics, Ancient History, and Egyptology department. Swansea is home to an Egyptology Museum entitled the Egypt Centre. A significant amount of fieldwork has been done in Greece and Turkey. We work with museums, heritage bodies and the media to promote the public knowledge of history and classics. Students are able to benefit from these links in a variety of different ways from placements to research opportunities. We pride ourselves on our high-quality teaching and employ a wide variety methods that extend far beyond the conventional lecture and seminar. Our students are involved in group work, presentations, placements, projects, field trips and even making models of ancient machines of warfare. Our aim is to make studying as stimulating as possible, whilst also developing students’ skills in preparation for the workplace. The Department enjoys an invaluable asset: the purpose-built Egypt Centre, housing about 3,000 objects from Ancient Egypt illustrating more than 4,000 years of human development from the Prehistoric to the Early Christian era. 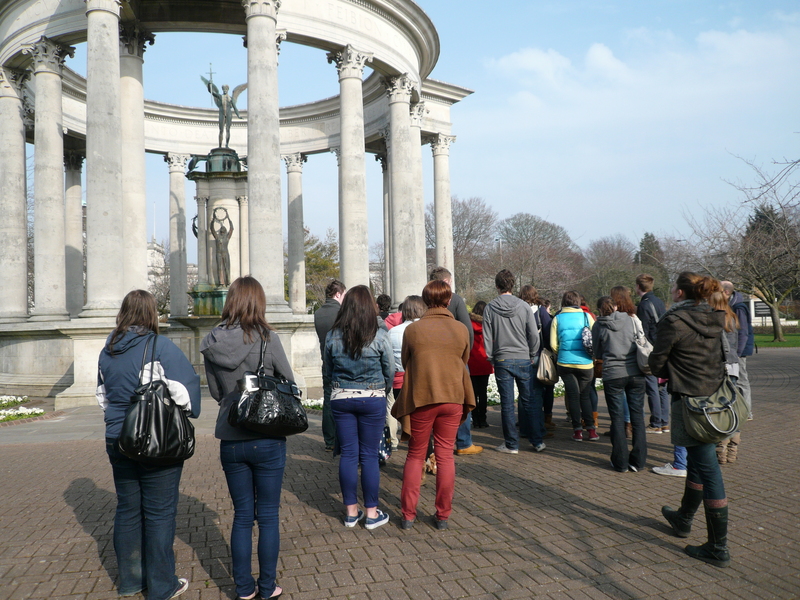 There are many field trips available and interesting community projects such as ‘Learn Latin in the Park’.